Wood has been the dominant siding material across the United States and throughout Colorado since the state was first settled by pioneers in the 1800s. Wood siding, if properly installed and maintained can last more than 30 years and it still covers a majority of homes throughout the state. Some of the Victorian homes in towns such as Silverton, Leadville, and Boulder are still at least partially covered by their original wood siding. In Colorado’s dry climate, proper maintenance and a little bit of luck keeping the bugs away can allow wood siding to be a beautiful and functional siding material for decades. Colorado Siding is honored to partner with Rocky Mountain Forest Products and Specialty Wood Products so that homeowners throughout Hill Top and Colorado Springs can enjoy gorgeous, locally sourced wood siding. With the most comprehensive wood siding solutions, homes and businesses can accomplish that charming, timeless look that’s only achievable with authentic wood siding. Wood siding does require higher maintenance needs and cost but provides unmatched aesthetics. Cedar siding does have inherent pest resistance and moisture resistance for property owners looking for more durability. Distinctive Channel Wood Siding: Natural wood siding that fits any setting from Breckenridge neighborhoods to suburban homes in Centennial. Channel siding provides a rugged option that defends your property from Colorado weather while offering distinct channels that present clean lines and beautiful aesthetics. Classic Bevel Wood Siding: Traditional bevel wood siding has been protection homes through the Front Range for hundreds of years. Available in numerous wood species, bevel wood siding provides that classic, rustic charm that’s perfect for homes and businesses throughout Keystone and Beaver Creek. Shiplap Wood Siding: With affordable shiplap wood siding options, homeowners can create attractive, contemporary accent walls in addition to full siding replacement. Shiplap siding provides aesthetic versatility, delivering numerous complementary color options. Tongue and Groove Siding: Tongue and groove wood siding has an eye-catching, clean design for both vertical and horizontal choices. With a tighter fit around your property, Pueblo and Hampden South homes can rest assured that their property is protected from the elements. 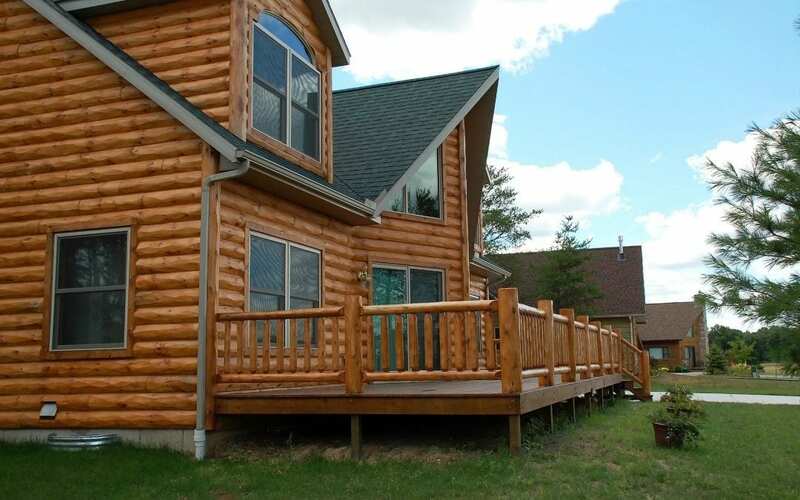 Log Lap Wood Siding: Achieve that authentic cabin look with true log lap siding. With beautiful log options, businesses and homes can really benefit from this simple curb appeal that boasts Colorado charm. Add authenticity and charm to your commercial property with wood siding. Perfect for any property trying to achieve that gorgeous, rustic cabin charm, our comprehensive wood siding options can really attract new clients while helping maintain repeat ones. 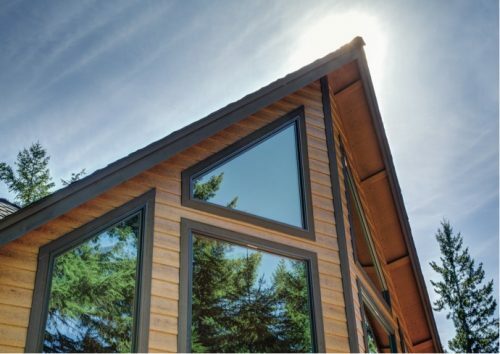 Some wood siding options, like cedar, can have lower maintenance requirements making it easier on business owners. While we have many products that look like wood, solid wood (usually cedar, pine, spruce, redwood, cypress, or Douglas fir) is still a preference for many homeowners. 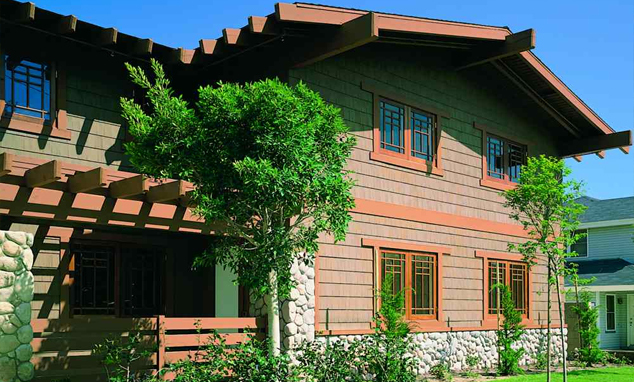 Colorado’s most popular wood siding choices are pine and spruce. Whether you are looking to repair your existing wood siding or replace your siding with wood, call Scottish Home Improvements to schedule a FREE in-home consultation.